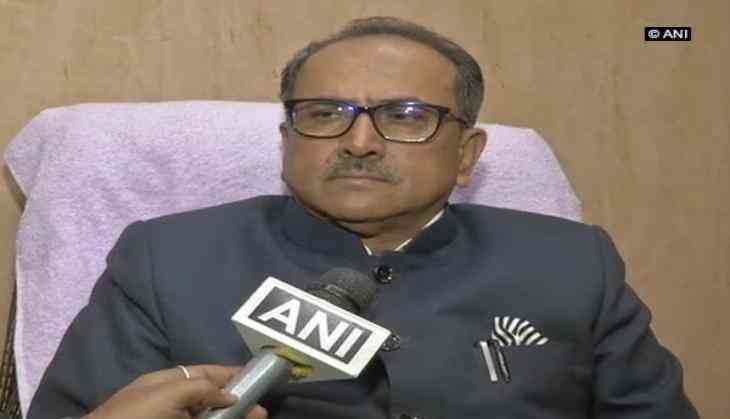 Bharatiya Janata Party leader (BJP) and party in-Charge of Jammu and Kashmir Ram Madhav on Monday announced that Nirmal Singh will be the speaker of the State Assembly. "Dr. Nirmal Singh will be the Speaker of Jammu and Kashmir Assembly," Madhav said while addressing a press conference here after swearing-in ceremony of the newly inducted minister. Singh tendered his resignation on Sunday from the post of Jammu and Kashmir Deputy Chief Minister after a major cabinet reshuffle was made in the Jammu and Kashmir government. The swearing-in-ceremony of the newly inducted minister took place today noon. It was attended by Madhav and Minister of State in the PMO Jitendra Singh. "BJP and state Peoples Democratic Party (PDP) government has completed almost three years. We had planned a reshuffle at this time; we thought MLAs must get experience of being in the state cabinet. It became bigger than expected as two of our ministers had to resign. Six ministers of BJP took oath today," Madhav told media.